Don’t delay until May. Right NOW is a great time to sell your lake home or cabin. Don’t delay until May. 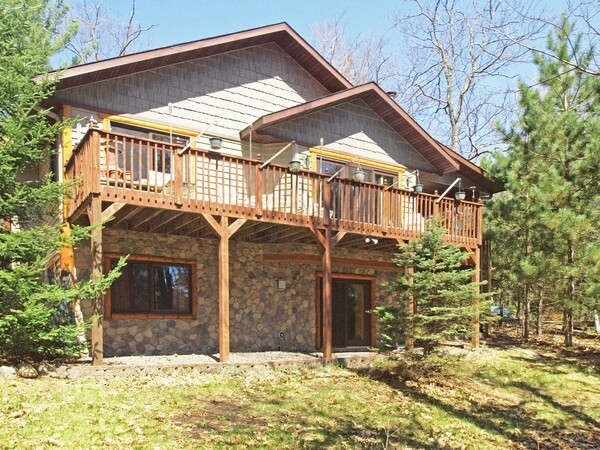 Right NOW is a great time to sell your lake home or cabin in NW Wisconsin. It is almost September 1. Summer is slipping away. But if you’re ready to sell your lake home or cabin, there’s no need to wait until next May. Around here sellers, buyers, and even Realtors can often think a little too seasonally. Summer might be the only time of the year we can grow tomatoes in northern Wisconsin, but that doesn’t mean it’s the only time of year we can produce real estate sales. Today’s lake-home market is no longer just a summertime surge. Maybe it’s because buyers are now eager to enjoy their new homes all year round. In the fall there’s hunting, fishing, paddling, hiking, biking, and ATVing. In the winter there’s skiing, snowmobiling, ice fishing, and just relaxing by the fire. Every spring, long before the water is warm enough for swimming, we’re blessed with months of weather that’s perfect for enjoying the great outdoors in other ways. Even as some sellers are pulling their homes from the market until next May or June, plenty of serious, purposeful buyers are still on the hunt. At this very moment they’re getting pre-approved, researching lakes, and reaching for their checkbooks. So if you’re ready to move on to the next stage of your life, there’s no rational reason to waste nine months while waiting until next May. A lot can happen in nine months, and waiting unnecessarily is just inconceivable. If you’re ready for this life transition, then maybe it’s time to make your move. Keep in mind, too, that listing your home today doesn’t mean moving out next Tuesday. Even after we’ve done a little negotiating and you’ve accepted a buyer’s offer, more time will elapse before there’s an actual closing. Typically, unless it’s a cash offer with no inspections or other contingencies, that’s about another 45-60 days. Could you end up moving in the winter? Sure. But it’s really no big deal. (And on this I speak from experience.) Moving in the winter is nothing to be afraid of—especially if you’re paying someone else to load up the moving van and drive it away. Of course, if you’re leaving most furnishings behind, then moving will be less of an issue anyway. ← Home sellers: how does your home appeal to millennials, Gen X, boomers, seniors?